I signed up for Pinterest the other day, and today, after being annoyed with not finding an easy way to unfollow the random people it set me up with, I decided to browse through the “Print & Posters” category. I was somewhat surprised that 70-80% of the results were posters with messages on them (maybe this is because of who i’m following?). 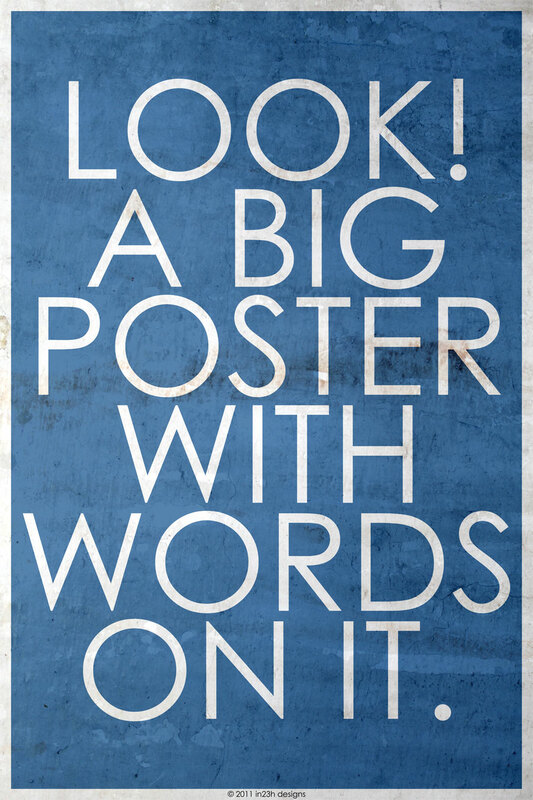 So, I decided to make my own poster with words on it.